For more than 70 years, the Achievement Centers for Children has helped children and adults with disabilities achieve their greatest potential. Part of that mission is supported by its annual fundraising effort, A Most Excellent Race (held June 24 this year).With 5k and 10k competitively-timed races, and 5k and 1-mile walks, the race has inspired Northeast Ohio to turn out and give their support for 28 years. 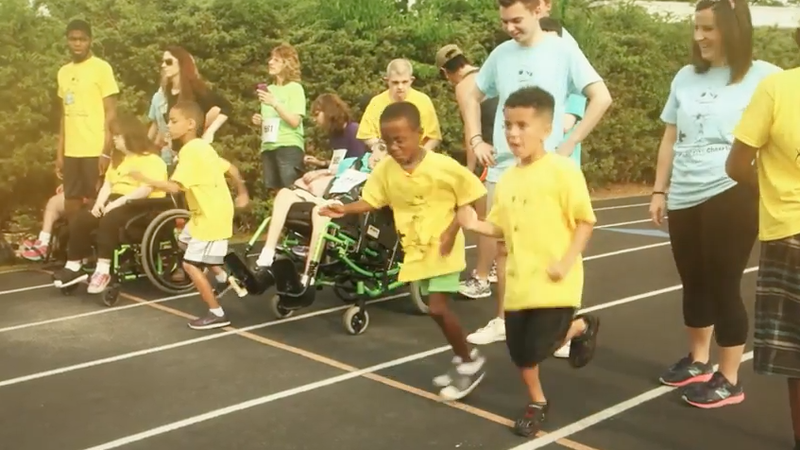 The most touching moment of the event is the “Camp Cheerful Classic,” a spirited short-distance race by the children and adults attending Camp Cheerful. It’s a show of determination and community as the families, participants and supporters in attendance cheer them across the finish line. All of the proceeds from the race go toward supporting the Achievement Centers for Children and Camp Cheerful’s efforts to foster a safe outdoor environment, provide campers new experiences and inspire confidence in everyone they meet.